What in the world is M-M wearing? Lizzie, I like your comment, it made me laugh "what in the world...."
I realise she has her coat on, just the same, she looks so frumpy. The dress might have been ok if it wasn't for the black panel, but the coat being shorter than the dress, AND the black stockings, the entire look is just so yuck. It seems by all the comments below that we are all in agreement that she could do a lot better. Next thing we know she'll dress like a nun! Good grief! 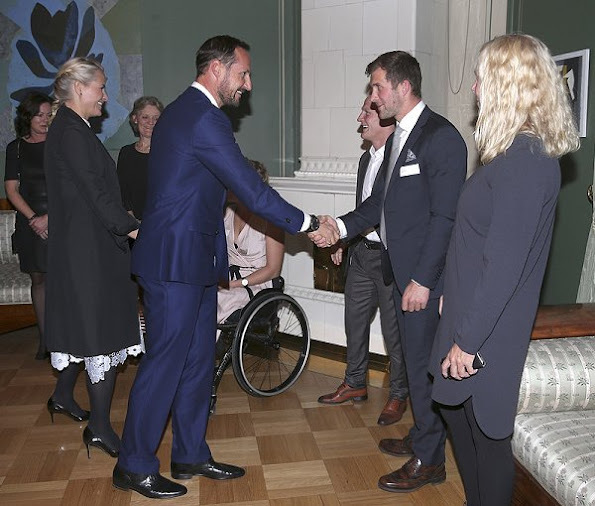 What is Mette Marit wearing now? And why? Is Princess MM intention to look unattractive in clothes she choose or is it her bad taste? I honestly think it's both! Does MM no longer own a mirror? I don't understand what in God's name made her think that what she was wearing even looked halfway good. I just don't understand her style. MM isn't ugly, but she's so frumpy that it makes her look unattractive. Why didn't Haakon say something? I don't understand what a good looking man like him sees in someone who dresses like an old granny! MM aime les collants noirs opaques qui sont catastrophiques avec une robe claire et Elle aime aussi les rideaux de cuisine portés en robe . Voyons, voyons, Myriam - en dentelle ce sont des rideaux de salon! Phew... her style is getting worse, sad to say, but true. Je ne comprends pas du tout pourquoi la princesse Mette Marit s'habille ainsi! Il n'y a pas de miroir en Norvège. Je ne trouve pas ça du tout joli et en plus, ça la vieillit. It would have been nice to see the dress without the coat. For me this isn't the worst outfit we've seen on here ! It might not be everyone's 'cup of tea' but there's something quite 'boho-chic about it ! 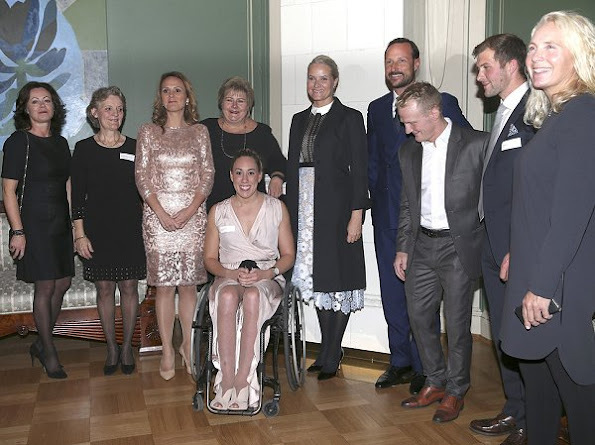 When the Crown Princess of Norway is the worst dressed in a line of women at an event (1st picture) something is wrong. The Queen's brother passed away a few days ago. That's not an excuse for this nightmare of an outfit. I'm sure she's got a lot of clothes in suitable colours. M.M. if you ever come across this blog i beg you, hire a stylist!!!! I doubt she would listen to anyone. 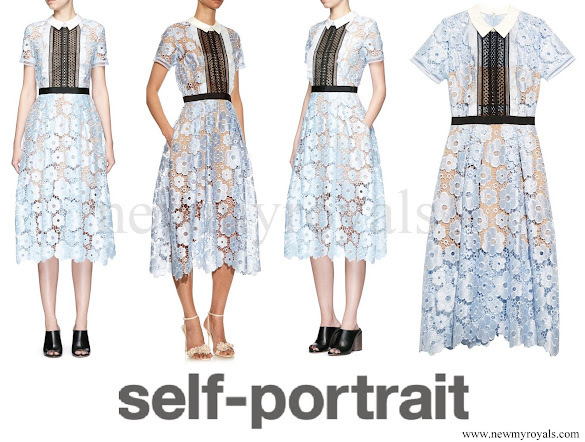 I like the dress even if I hate collars like that. How it looks on Mette at least I find it difficult to see since this is the only pic we have to judge her by.